Specializing in roof installation and roof repair for years, Hess Roofing Co. promises top-quality workmanship for all of our customers. 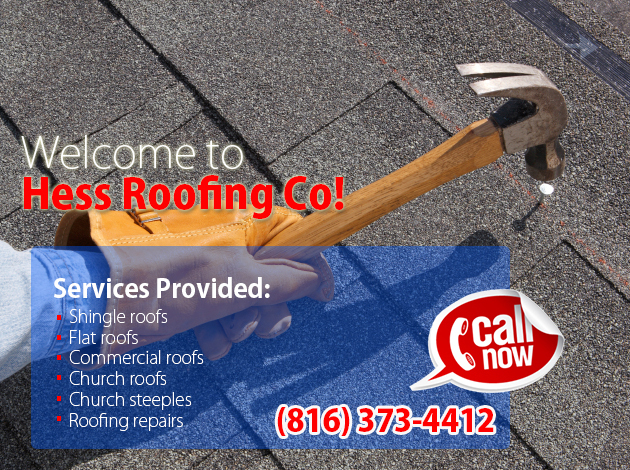 Whether you need a new roof installed, or repair work done on an existing roof, Hess Roofing Co will finish the job as quickly as possible so you can get back to your life. For more information or a quote for your next construction project with us, call 816-373-4412 today!